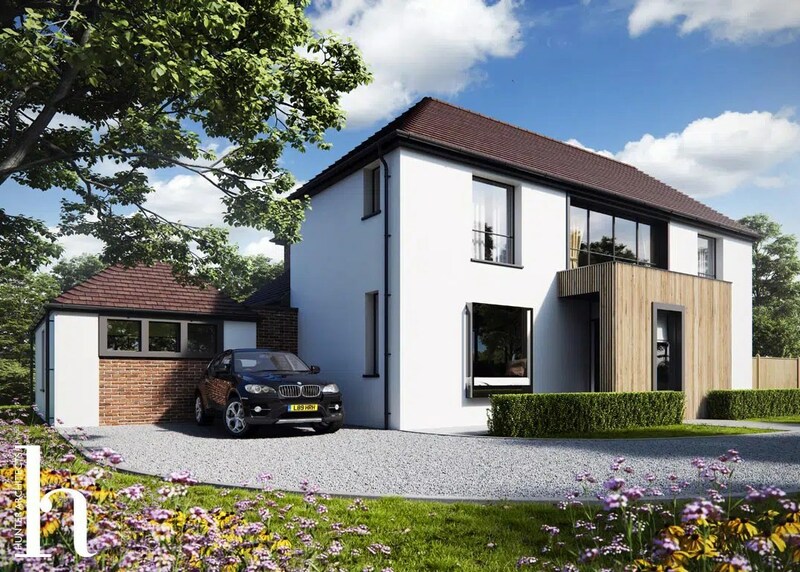 The proposals seek to extend and remodel an existing detached house in Liverpool, to provide a high quality, contemporary modern Architect designed family home. The proposals seek to make the best use of the existing house, the plot, orientation and context. The primary constraint for this house was the Green Belt which limits the size and scale of any extension. 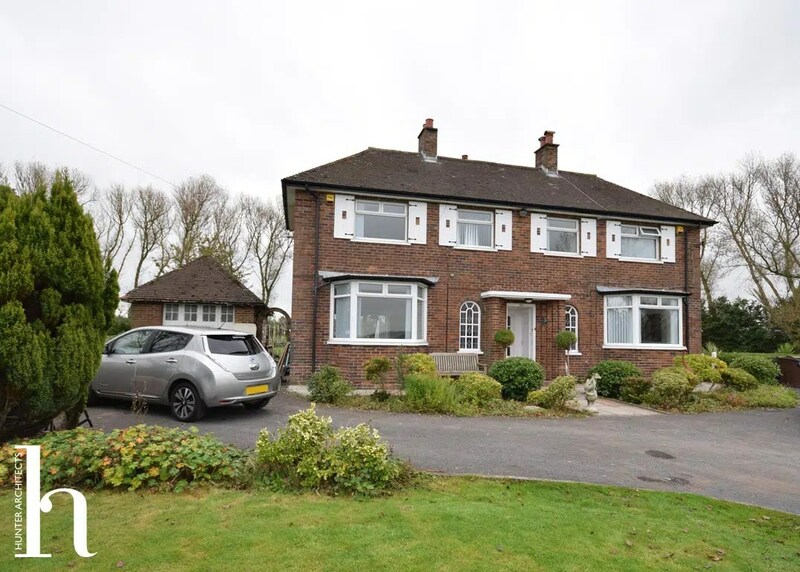 This property had earlier house extensions and as such the scale of any new extension was restricted further. The site benefitted from some fantastic views over Liverpool, however, these were to the front of the property which was quite exposed. As such a sheltered entrance way protects the open plan of the ground floor and allows the family room to benefit from the views. The proposals aim to keep the extensions close to the original dwelling, thus maintaining the openness of the Green Belt and wider Liverpool countryside. At the rear of the property, the extended areas are stepped in from the side elevations, and the ridgeline is stepped down from the main roof, maintaining the subservient nature of the extension. There is no increase in the width of the property which would have a larger impact on the Liverpool countryside. It is proposed that the original garage building will be converted into a habitable space in order to minimise the visual impact on the open countryside. The link between the house and garage is visually equal to the current arrangement of the existing wall and gate. 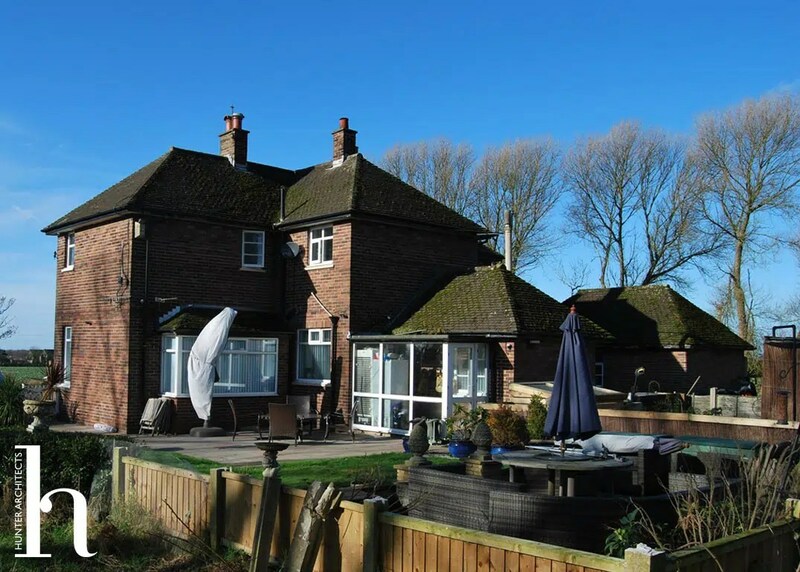 As part of the improvements to the property, it is proposed that the original dwelling will be externally insulated, and windows will be replaced in order to improve the fabric energy efficiency of the dwelling. The external appearance of the dwelling will, therefore, be changed from a brick façade to a rendered façade. 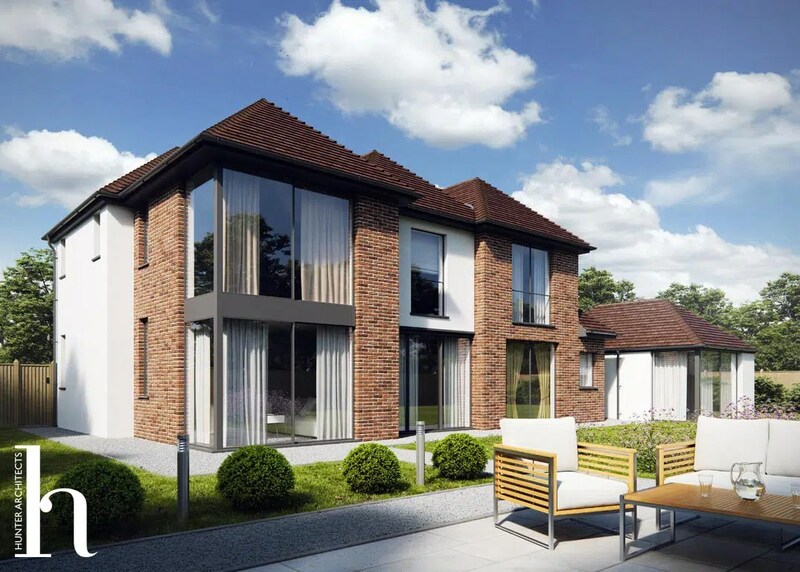 To the rear of the property, the new extensions will be constructed in brickwork, reflecting the original character of the dwelling and helping to break the scale of the extension. Features: Family home, natural materials. Contemporary design. Garden Room, open countryside, rural design, green belt.